Glass sideboard in two heights. 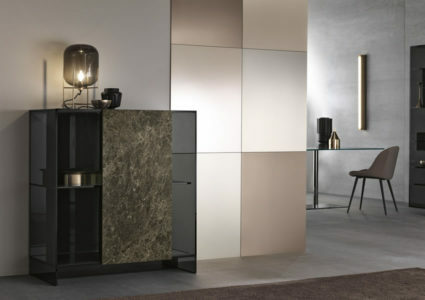 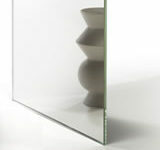 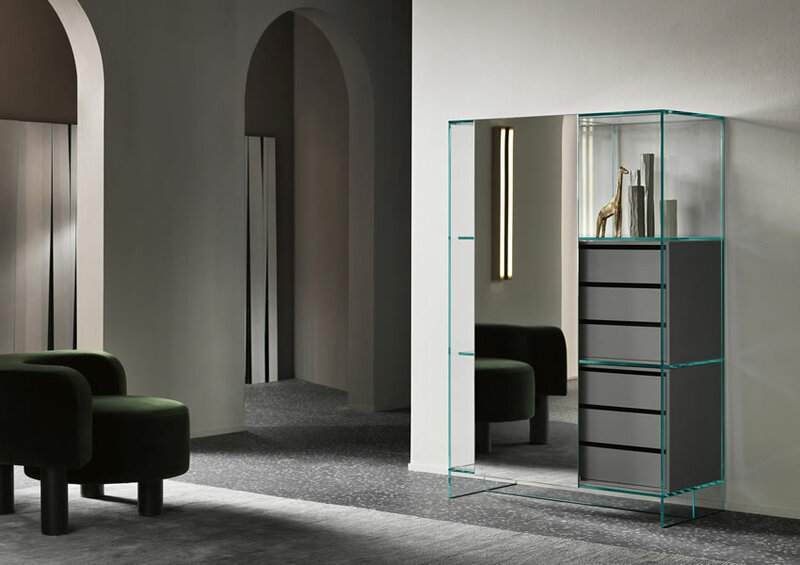 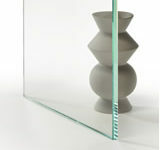 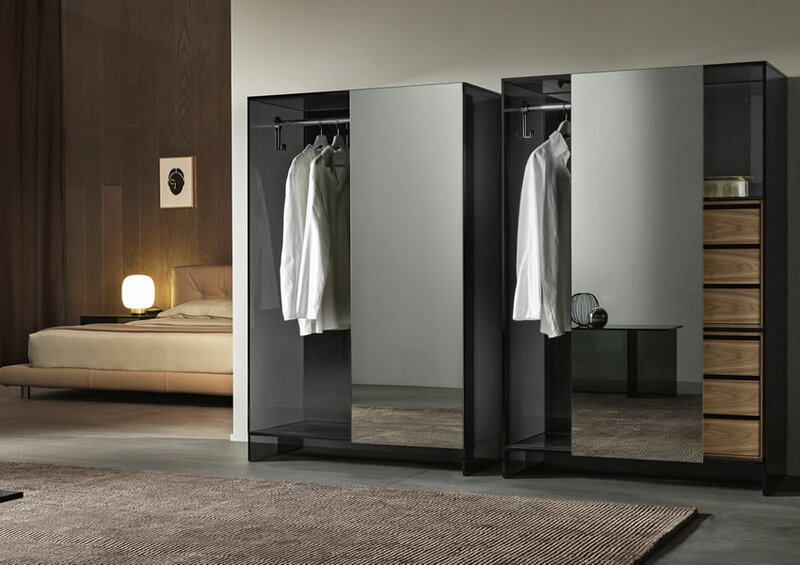 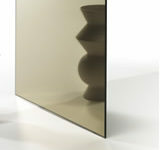 The structure in extra clear or smoked glass is equipped with a sliding door in several mirror finishes. 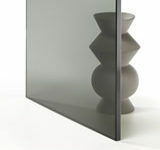 Top, back and door are also available in ceramic.